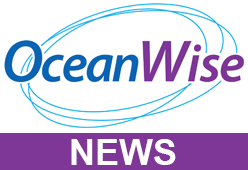 OceanWise > News > Uncategorised > Launch of ‘Raster Charts XL Oceans’ imminent! What is Raster Chart eXcluding Land (XL)? Raster Charts XL are just like standard Raster Charts but we have cleverly snipped out all the land and replaced it with clear pixels -why? Because the land on standard Raster Charts is a monotone yellow colour with very little detail, so whilst you have a great map of the marine area, you have a substandard map for the land and land based features. By removing the land and providing it as clear pixels we allow the user to insert their own preferred land data (i.e. Ordnance Survey maps, Open Street Map, aerial imagery or any others). The end result is a raster chart that has all the essential detail areas without having to compromise on the land. Why choose Raster Charts XL? Non-marine areas are provided as transparent pixels to allow the inclusion and display of digital land mapping, such as from a National Mapping Agency, Open Street Map or Google Maps. How do we select our Raster Charts XL coverage? Raster Charts XL provides a seamless base map at standard zoom level. Individual charts are carefully selected and combined to best address overlaps in coverage and chart boundary issues. Larger scale zoom levels will be provided as users demand grows, subject to availability and permissions granted by the contributing nations worldwide. At present Raster Charts XL is available at all scale (or zoom) levels in Northwest Europe and the Arabian Gulf. Want to know more? Contact Us today for more information.